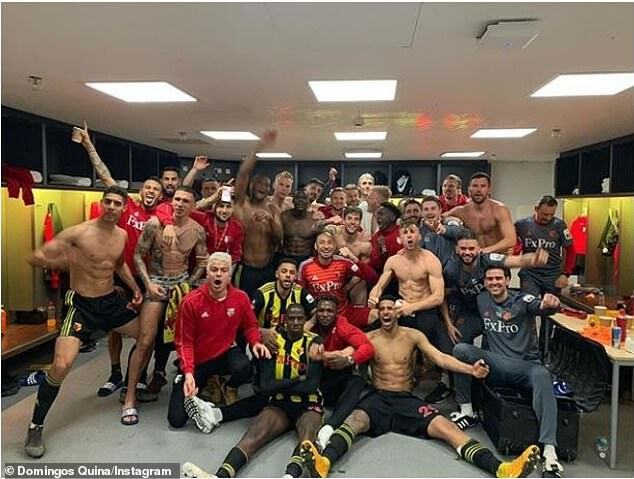 Watford celebrated reaching the FA Cup final in style with a team photo in the dressing room. Javi Gracia’s side came from two goals behind against Wolves to win the match in extra-time 3-2. Domingos Quina posted the photo on Instagram of them in a jubilant mood on Sunday. 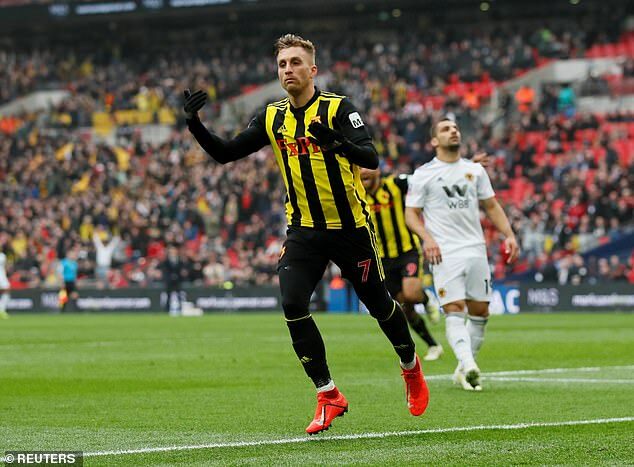 Gerard Deulofeu came off the bench to score either side of Troy Deeney’s penalty with Matt Doherty and Raul Jimenez having given Wolves the lead. Gracia was delighted with the victory and said before the match it would be the biggest achievement of his career. The Watford boss told BT Sport: ‘I have no words to describe my happiness. We come back with our amazing supporters and enjoy the final, it is something amazing for us. ‘It was a tough game but I think the team showed it’s character and personality. When we had everything lost we had the ambition and the character to get this amazing result.